I did a bedding test this fall for The Chronicle’s Untacked magazine. I didn’t quite find one I loved better than the wood shavings we use, but Bear sure does make a nice model, doesn’t he? 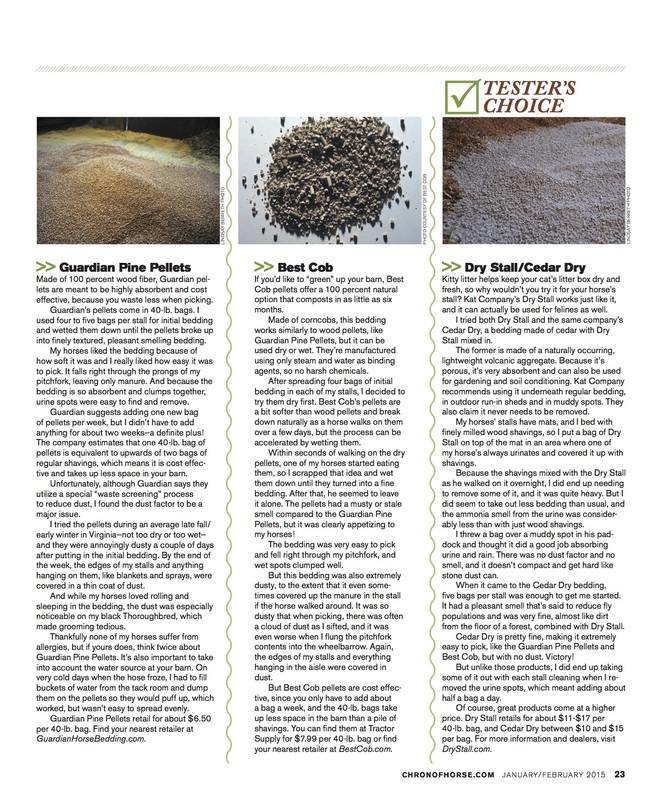 Be sure to pick up a copy of the Jan/Feb 2015 issue! 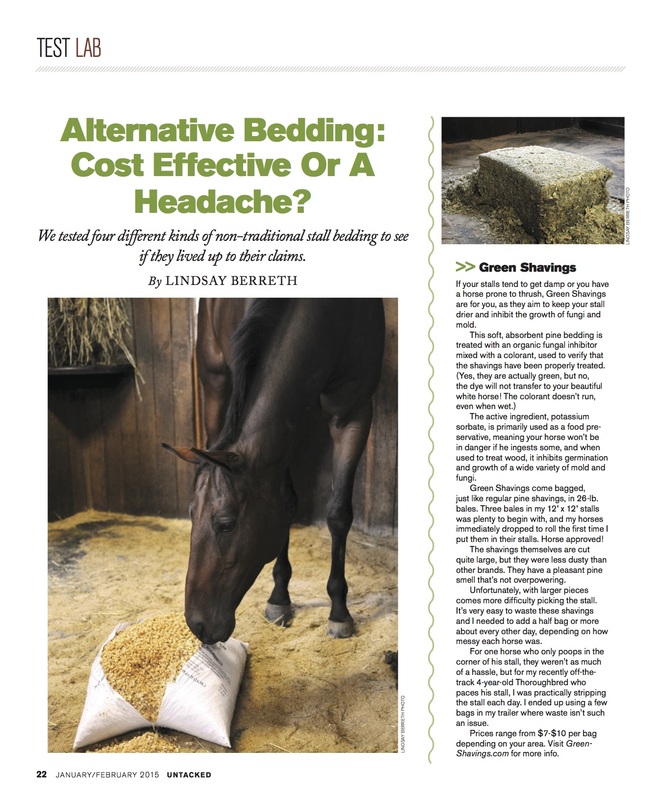 I’d love to try alternative bedding. Cool article.